At most organizations Competitive Intelligence (CI) is a function that is underappreciated and underfunded. Midsize organizations typically have only one CI professional dedicating to monitoring the competition. Large companies often have a small team. And small companies may have only a fraction of a resource’s time. 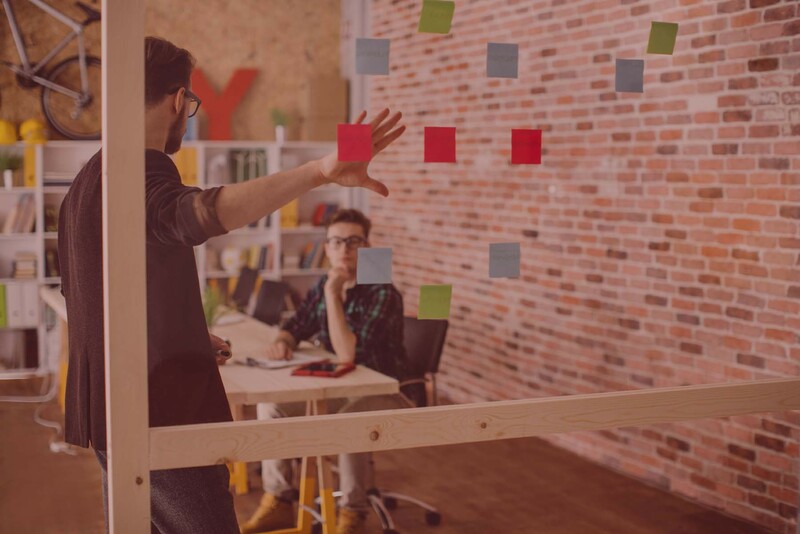 But regardless of how many people are assigned to CI at a company, one of the common challenges is making the best use of their time. One challenge I have always faced is that these individuals spend a significant amount of time aggregating and collecting information, reorganizing the data into meaningful formats and then distributing it to interested parties. Most of the CI professionals that I know would prefer to focus their time on analysis and synthesis of the information rather than collection and aggregation. The challenges are compounded in today’s Web 2.0 world in which various social media channels must be constantly monitored in addition to the traditional corporate web sites and public investor filings. Many CI professionals pride themselves on being the first to discover breaking news, but with the proliferation of information sources such a task requires a continuous monitoring and constant interruption. I’ve always viewed CI as a function that could greatly benefit from crowdsourcing. I was pleased to learn recently that there have been real-world examples of crowdsourcing competitive intelligence from employees within the sales organizations. The best example was the Competipedia site launched by Xerox Global Services in 2008. 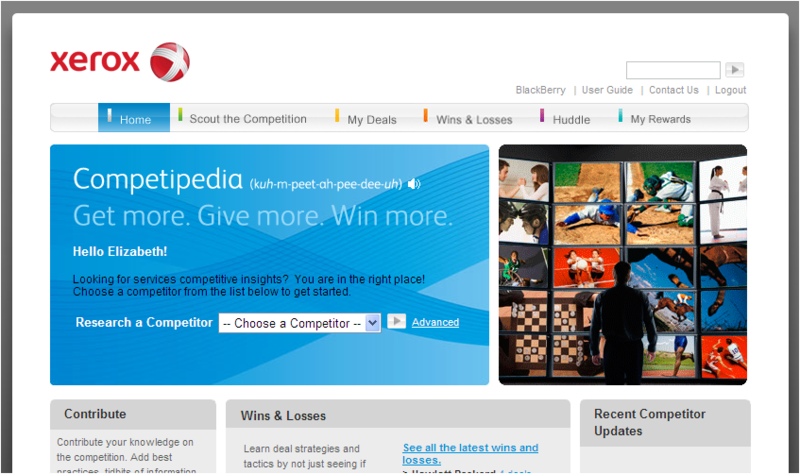 Competipedia is a secure, wiki-based resource for Xerox employees to find competitive information. Xerox was recognized by Forrester Research with a Groundswell award a few years ago. Even though Xerox’s initiative is a few years old I think this is a story worth repeating. Wiki – Xerox used a wiki approach which allows the community to update and maintain the content about competitors. This frees up the competitive intelligence professionals from having to call the sales representative, write down the information and then type it into a Word document for posting online. Furthermore, it increases the likelihood that a broader set of data is being captured. Sales representatives located in different countries and various time zones, which may not have a strong relationship with the CI professionals at headquarters, can enter new information into the wiki at their leisure. Win/Loss – Xerox developed a form to gathers data from the sales team immediately following the close of a deal cycle. The end of the deal is the best time to capture the competitive information. It is still fresh in the sales representative’s mind. Of course, nothing compares to a true win/loss analysis discussion with the customer. But as we know, in many cases those win/loss calls never occur, because the customer is reluctant to participate or the sales representative is unwilling to share contact details. Incentives – Xerox provides an incentive program to encourage participation. I think gaining a critical mass of engaged users is probably the greatest challenge with launching a similar program. To succeed I suspect you would need to incentivize a few key trendsetters in the sales force to participate. In the Xerox model users can earn points for adding or editing content. The points are redeemed for rewards such as gift cards or mobile phones. Mobility – The primary users of the application are sales people, who are constantly on the go. Xerox created a Blackberry application which enabled users to enter updates directly from their phone. So when a sales representative walks out of a challenging meeting with a prospect, they can immediately post information learned about competitors to the wiki. Depending upon the organization, an Android or iPhone application may be more appropriate. I also think integration with salesforce.com could prove useful. Of course, developers could build the competitive wiki on force.com. These are just a few of the features offered by the Xerox platform. To learn more about it, check out Xerox’s public page or you can pay $495 to get a 16-page report on Competipedia.